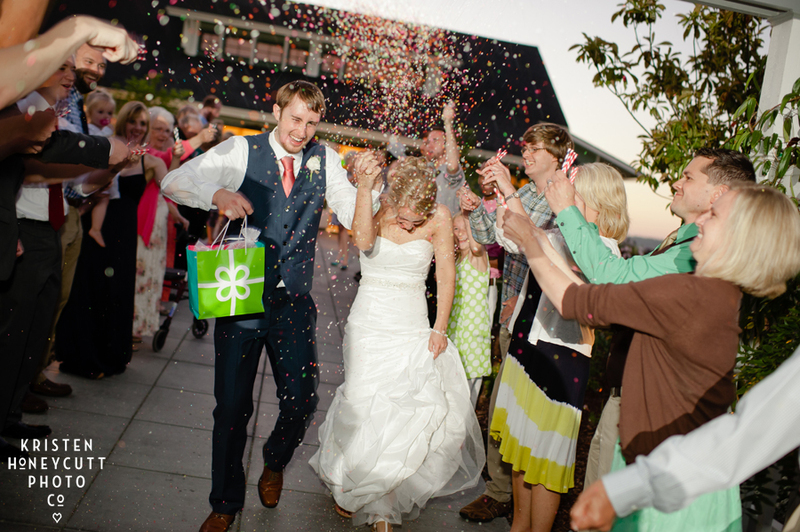 10 Fun Options for a Grand Exit from Your Wedding » Seattle Wedding and Portrait Photographer: Kristen Honeycutt Photo Co.
By far the most popular, it’s a classic way to say goodbye, and photographs beautifully at night. If you’re planning a sparkler exit, I recommend longer sparklers (the short ones burn out too quickly), and designate 4-6 people with *working* lighters to help light all of the sparklers at once. 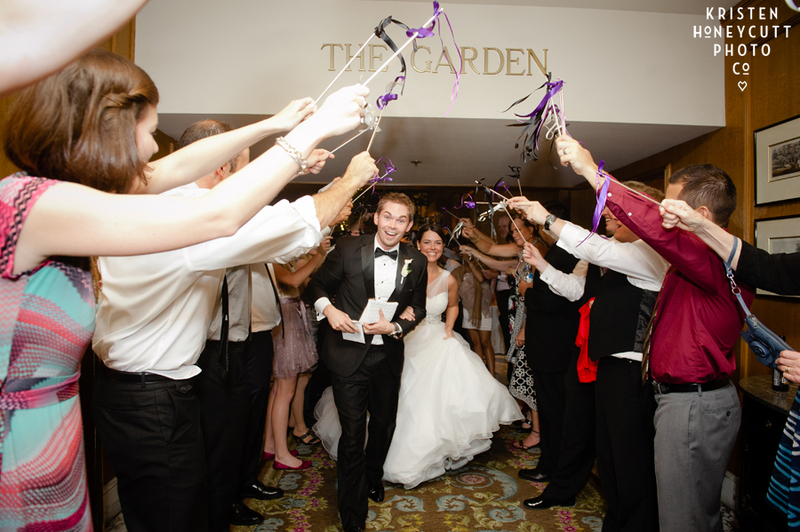 Leave room for the couple to walk, and try not to catch the photographers hair on fire. 😉 And don’t forget to have a few buckets of water for your guests to extinguish their sparklers at the end. Bubbles have become more and more popular for the exit, as nearly all venues will allow them outside. 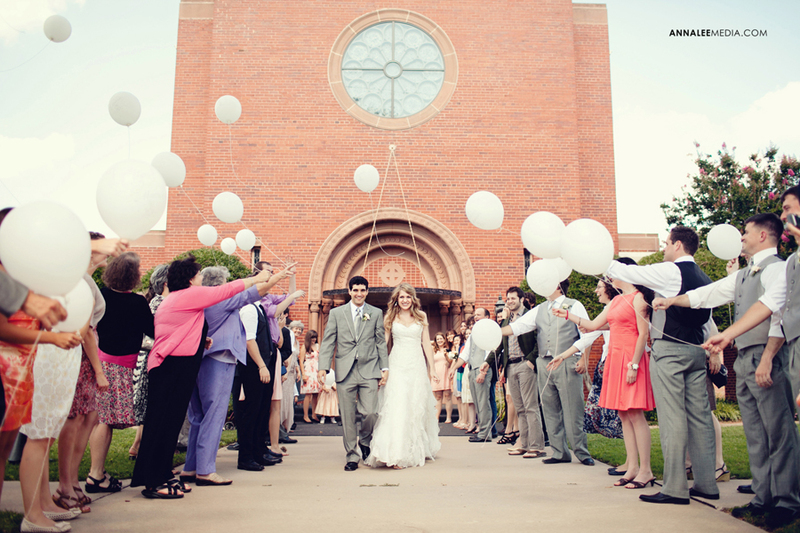 The bonus is they photograph well in bright daylight or at night, so if you’re exiting from a ceremony site before heading to your reception, you may consider them as a daytime exit option. Some instruction required, but they make for some really great exit shots, and the guests will love playing along with this one. Image HERE. Definitely not your traditional exit, but I loved it for this destination wedding in Hawaii, and would be fun for any beach wedding. Another fantastic option for venues with stricter rules on how you exit. No mess involved, easy to coordinate to your wedding colors, and a great impact. 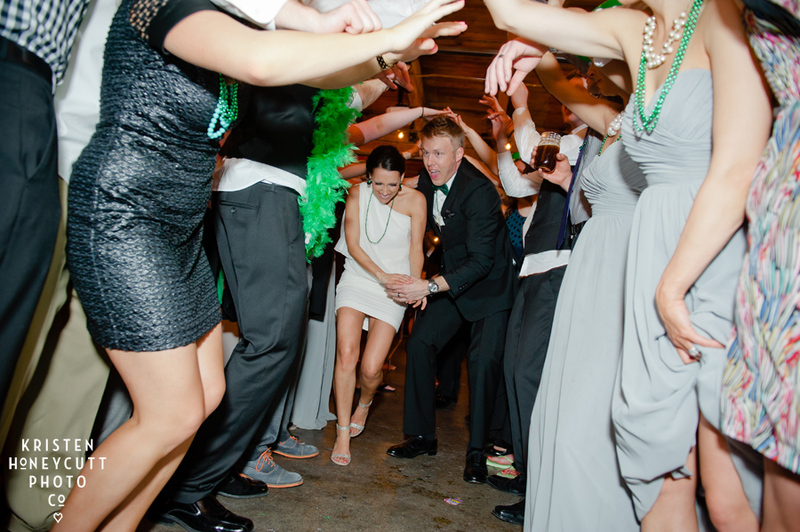 Sometimes less is more, and all you need to do is rally up your friends in two rows with hands in the air for a warm and fun exit! Please someone use these. Such a big impact, and a colorful and exciting exit. 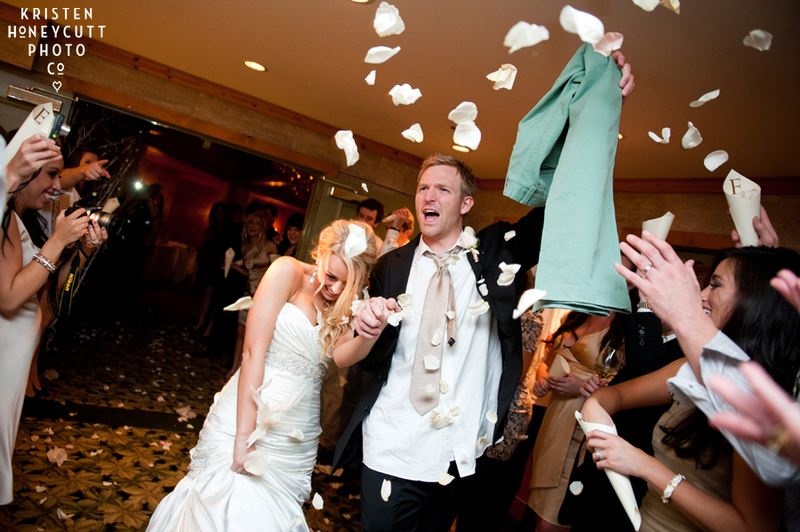 Be sure to check with your venue to see if they’re allowed, and please consider biodegradable confetti. See images HERE and HERE. 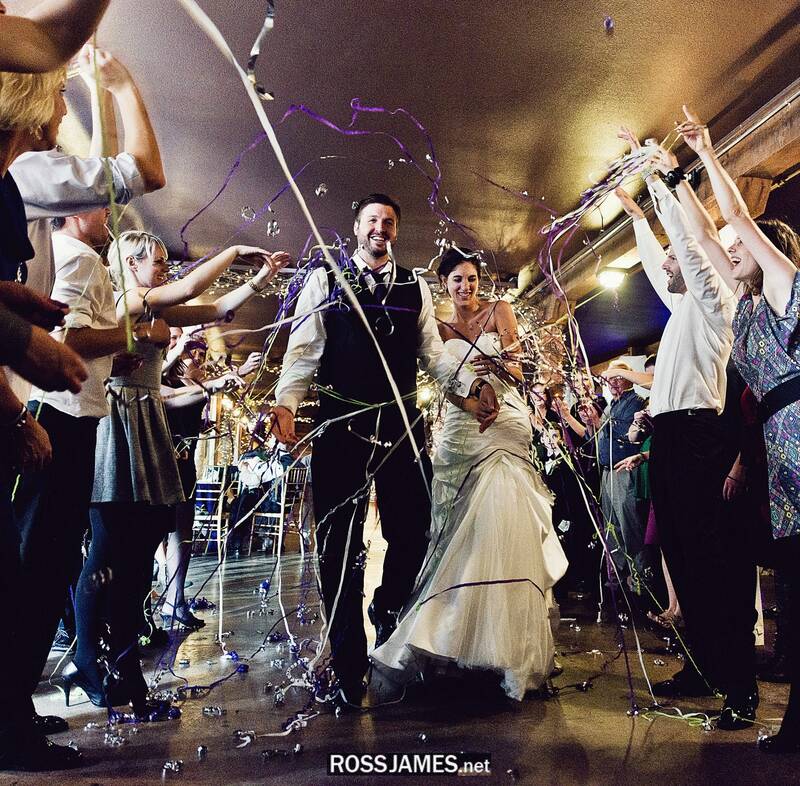 This was such a big hit at the wedding, and made for some very colorful exit shots! 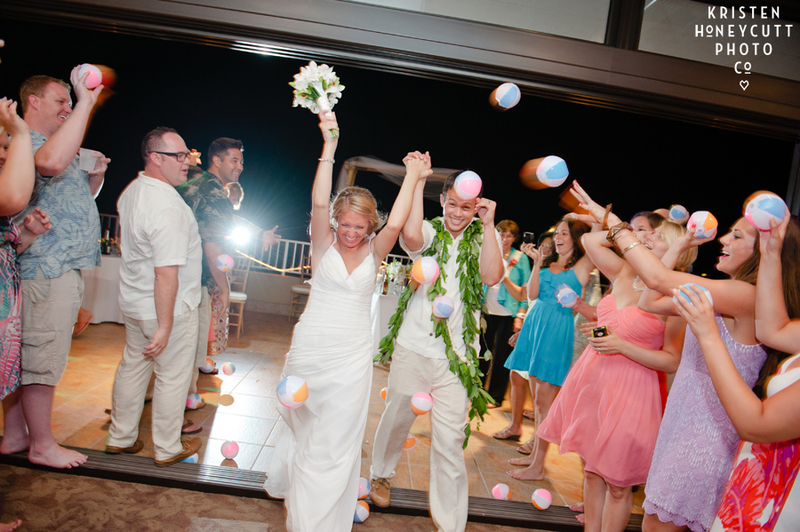 The bride filled paper straws with candy sprinkles, and their guests tossed them in the air as they exited. Heat and moisture are a consideration in this one, as those candy sprinkles could leave some colorful mementos on your wedding dress. While I personally don’t think they are as effective at night, exiting down a balloon lined walkway for your daytime exit looks a bit whimsical and so much fun! Go big on color or keep it uniform with white or another color. Images HERE and HERE. Flower petals will have the same colorful effect as confetti, (mix and match colors for a bigger impact) and are typically allowed outdoors and at most venues. Keep in mind you need A LOT of petals for the exit- better to have too many than not enough. 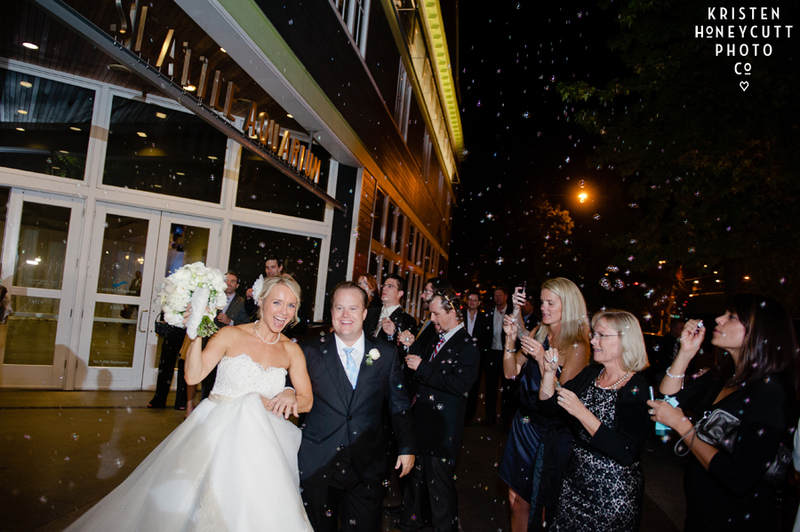 Denver Photographer - My best friends did the sparkler thing when they got married. It’s so adorable.